If you are one of the millions of American adults struggling with refractive errors — nearsightedness, farsightedness, or astigmatism — you may wonder what options you have besides glasses and contact lenses to improve your vision. (Learn more) Maybe you don’t want to mess with glasses or contact lenses anymore, and you need a more convenient option. Myopia, or nearsightedness, which is blurry or fuzzy vision the further away an object is. Hyperopia, or farsightedness, which is trouble focusing on objects closer to you. Presbyopia, which is farsightedness associated with getting older. Astigmatism, which occurs when the eye is shaped more like an oval than a circle, causing light to refract unevenly on the retina. Refractive errors can lead to eye strain, problems reading, difficulty driving, squinting, headaches, and other issues. They are easily treatable with glasses or contact lenses, but as your refractive error progresses, you may get tired of having to use these tools to see anything. 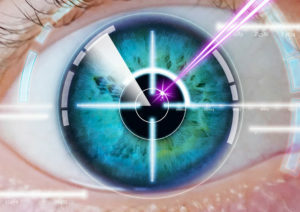 You may start to wonder if you can use a type of laser-assisted surgery to improve your visionpermanently or at least for a long time, so you do not have the inconvenience of corrective wear. There are several approaches to improving refractive errors using laser-assisted surgery. Two of the most popular are laser-assisted in-situ keratomileusis (LASIK)and photorefractive keratectomy (PRK). 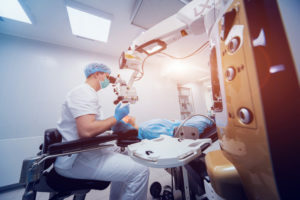 These two procedures are very similar in many ways, but there are some important differences, including the types of eyes that are better suited for either procedure, healing times, and the devices used during the operations. You will sit in a comfortable chair and receive numbing eye drops. Because the operation is so short, there is no reason for you to get general anesthesia, which has some risks. A device will be placed on your eye to hold it open, and you will be asked to look at a target while the laser works. Either a microkeratome (small blade) or laser will be used to cut a flap in your cornea, the outer layer of skin on your eye protecting the internal parts. A laser will be aimed at the now exposed lens of your eye. This laser has been preprogrammed with your refractive prescription, so it can reshape your cornea quickly and easily. The corneal flap will be replaced. You will receive a special contact lens as a bandage and be moved to the recovery room. You will need help getting home after the procedure because your vision will be too impaired for you to drive. You will likely be asked to rest for a few hours after the operation, so you do not strain your eyes; however, many people begin to experience vision improvements within hours after LASIK, and you should be able to return to work the next day. Glares or halos around lights. These problems are very rare, and 9 out of 10 people who get LASIK get vision improvements ranging from 20/40 to 20/20. It is important for eye surgeons to manage patient expectations with “perfect” vision. In general, 20/40 is considered a great outcome because the patient will not need much vision correction to see well. With 20/40 vision, you should be able to perform most tasks like reading and driving without impairment. 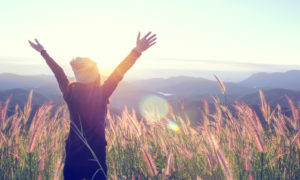 Photorefractive keratectomy (PRK) is an older procedure than LASIK, and it is not as popular anymore, especially since LASIK is the recognized name associated with most laser-assisted surgeries. However, PRK is still a great option for some people. It works a lot like LASIK, although the healing process is longer. You will sit in a comfortable chair and get local anesthetic in the form of numbing eye drops. Your eye will be held still with a device that keeps your eyelids open, and you will be asked to look at a target. Your eye surgeon will remove a small area of the corneal epithelium, using either a blade, special brush, laser, or alcohol solution. The choice in how to do this varies by your surgeon’s training and what will cause the least impact on your eye. Once the cornea is out of the way, a laser that is preprogrammed to shape your lens will begin to work. When the laser is done, you will receive a special bandage contact lens and be moved to the recovery room. Like LASIK, the whole process takes between 5 and 15 minutes per eye; if you get PRK on both eyes to improve your vision, you will be in surgery for 30 minutes or less, total. Also, like LASIK, you will need to be driven home and rest your eyes. Unlike LASIK, though, you will need to take several days off work because the cornea needs three to five days to heal. There is no flap to reseal the hole in your cornea, which will need time to knit itself together before you use your eyes consistently. Side effects from PRK are similar to those of LASIK, with an additional risk of corneal haze as the hole made in the cornea heals from the outside in. Haze is essentially scar tissue, and it may impact your ability to see clearly, but this is not likely. The greatest benefit of LASIK is the speed. The procedure is quick, and healing from the operation happens quickly. You can resume most low-impact activities in 48 hours after the surgery. LASIK works for most people with refractive errors, improving visual acuity for many years. However, it is not appropriate for everyone and it can have some downsides beyond the normal side effects. Dry eyes are the most common side effect, and these can last for three to six months after the operation. Your cornea may be thinned so much that reshaping it again — through an enhancement for an undercorrection or a second surgery years later — may not be possible. Your refractive error can come back, or you may develop a new one, especially as you age. If you are used to high-impact exercise or sports, or your job involves a lot of physical impact, you can damage the corneal flap or dislodge it, slowing the healing process. People over age 40. Presbyopia is not considered treatable by LASIK, although other operations, like PRK, can improve vision in this age group. People under 18 years old. Adolescent and young adult eyes are still rapidly changing, so LASIK will not improve vision for very long. People who take some prescription drugs. Accutane, oral prednisone, blood thinners, and some other drugs may put you at risk if you undergo LASIK surgery. Those with chronic diseases. People who have high blood pressure, bleeding disorders, hormonal problems, diabetes, or a history of dry eyes may not be good candidates for LASIK. People with thin corneas or lenses. If parts of your eye are very thin, the LASIK process may not work well with them. If you are not qualified for LASIK, you may benefit from PRK instead if you want to reduce the impact of your refractive error on your life. Typically, people who do not qualify for LASIK are good candidates for PRK. This means you can still improve your vision, although you may have to wait longer and spend more time allowing your eyes to heal. Like LASIK, you must meet certain requirements to undergo PRK. You must be at least 18 years old, but ideally 21 years old so your eyes are not changing rapidly anymore. Your eye prescription should not have changed in the last year. You should have healthy corneas. You should not have serious symptoms from an underlying chronic illness like hypertension or diabetes. You should not have hormone fluctuations, such as from pregnancy or nursing. You should not have a history of certain eye infections. However, PRK is a good option for people who have very active lifestyles, like professional athletes; people age 40 and older; and people who have thinner corneas or lenses. It is also a better option for people who have high degrees of refractive errors, like high myopia, because more of the lens needs to be removed to reshape it; the longer healing process and lower impact on the cornea can benefit the overall ability of the patient to see clearly. One recent study found that, in a four-year follow-up, visual acuity improvements were not significantly different between people who had undergone LASIK versus those who had undergone PRK. At first, the PRK group’s improvements were lower than LASIK, but after two years, those with PRK actually showed greater improvements in visual acuity than LASIK. Due to healing time, most eye surgeons will recommend LASIK, and most people who want to improve their vision will choose this option. If you are concerned about cost, PRK tends to be less expensive by several hundred dollars. Still, this procedure is less recommended by doctors, and neither will be fully covered by insurance because they are considered elective surgeries. However, for many people, the improvements in their vision make the cost and recovery time worthwhile. What Is LASIK? (July 11, 2018). U.S. Food and Drug Administration (FDA). LASIK Eye Surgery: Overview. (December 30, 2017). Mayo Clinic. LASIK – Laser Eye Surgery. (December 12, 2015). American Academy of Ophthalmology (AAO). What Is Photorefractive Keratectomy (PRK)? (September 27, 2017). American Academy of Ophthalmology (AAO). Photorefractive Keratectomy (PRK): Before Your Surgery. (December 3, 2017). MyHealth Alberta.ca. Pros and Cons of LASIK: Are the Risks Worth the Cost? (December 13, 2017). University of Michigan Health. The Basics of LASIK Eye Surgery: Are You a Good Candidate for LASIK? (August 2012). Federal Trade Commission (FTC), Consumer Information. Long-Term Outcomes of Photorefractive Keratectomy for Low to High Myopia: Up to 19 Years of Follow-Up. (March 2012). Investigative Ophthalmology & Visual Science. Comparison of Laser In Situ Keratomileusis and Photorefractive Keratectomy for Myopia Using a Mixed-Effects Model. (March 31, 2017). PLoS One.